I’ve told you before about my grandmother’s green metal recipe box. It’s filled with handwritten and clipped recipes for amazing desserts. Some are very familiar, and some not at all. I found not one but three recipes for strawberry pie in there recently, yet I have no memory of her making even one. Still, I felt compelled to try a version of my own. 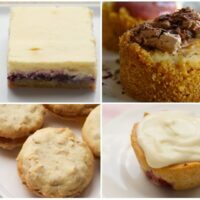 I took some things I liked about each recipe, threw in some of my own ideas, and came up with this amazingly delicious pie. The key here is in the layers. 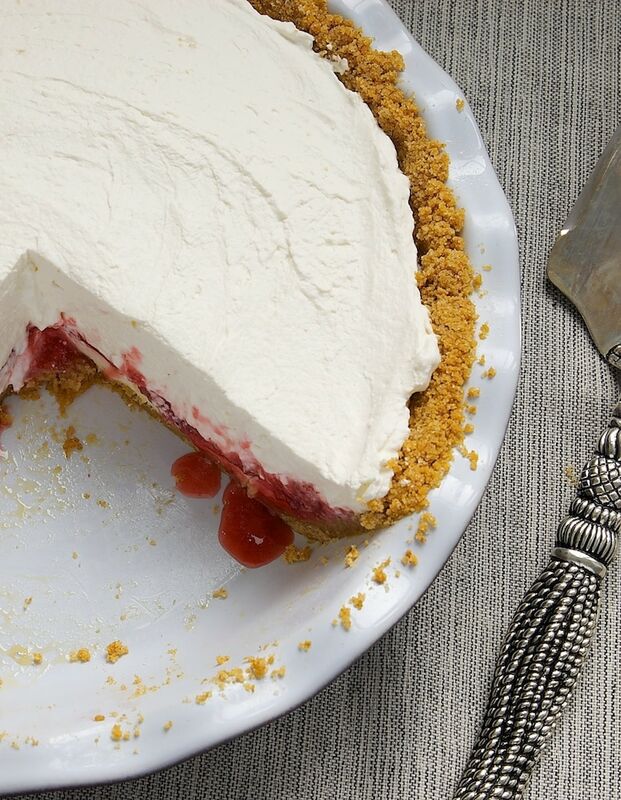 Graham cracker crust, of course, is always a favorite. That’s topped with a thin cream cheese layer. 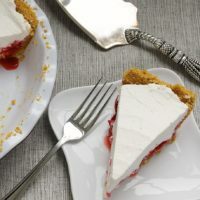 It’s sweetened just enough so that the tartness of the cream cheese still comes through and perfectly accents the next layer of sweetened strawberries. As if that weren’t enough, a generous helping of sweetened whipped cream tops off all of that. It all just works so harmoniously together. Despite all the steps and layers, this is a very simple dessert to make. I find that it’s better to make this pie over a couple of days. That’s not from a labor standpoint, but more because that allows each part plenty of time in the refrigerator to set. After you’ve assembled, refrigerated, and exercised a little patience, you’ll be rewarded with a cool and creamy dessert. Nothing could be more perfect for berry season and warmer days. 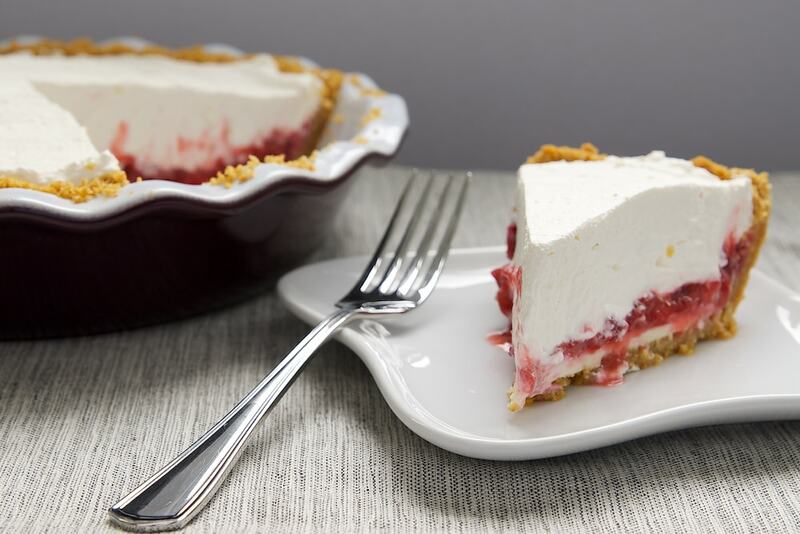 Fresh strawberries, cream cheese, and whipped cream make this Strawberry Icebox Pie a dessert dream! Mix all the crust ingredients until well-combined. Press firmly onto the bottom and up the sides of a 9-inch pie pan. Bake 10 minutes. Set pan on wire rack to cool. Using an electric mixer on medium speed, beat the cream cheese, 1 & 1/2 tablespoons sugar, and 2 tablespoons cream until thoroughly mixed. The mixture should be thick but spreadable. If necessary, add more cream, a teaspoonful at a time, until spreadable. Spread the cream cheese mixture onto the bottom of cooled crust. Cover and refrigerate. Chop about half of the strawberries into 1/2-inch pieces. Set aside. Place the remaining strawberries in a medium saucepan. Use a fork or a potato masher to crush berries. Add 1/2 cup sugar and cornstarch. Cook over medium-low heat until mixture comes to a boil. Remove from heat and stir in the remaining chopped strawberries. Cool completely. Spread the cooled strawberry mixture over the cream cheese layer in the pie pan. Refrigerate. Place the cream, confectioners’ sugar, and vanilla in a chilled mixing bowl. Whip until firm peaks form. 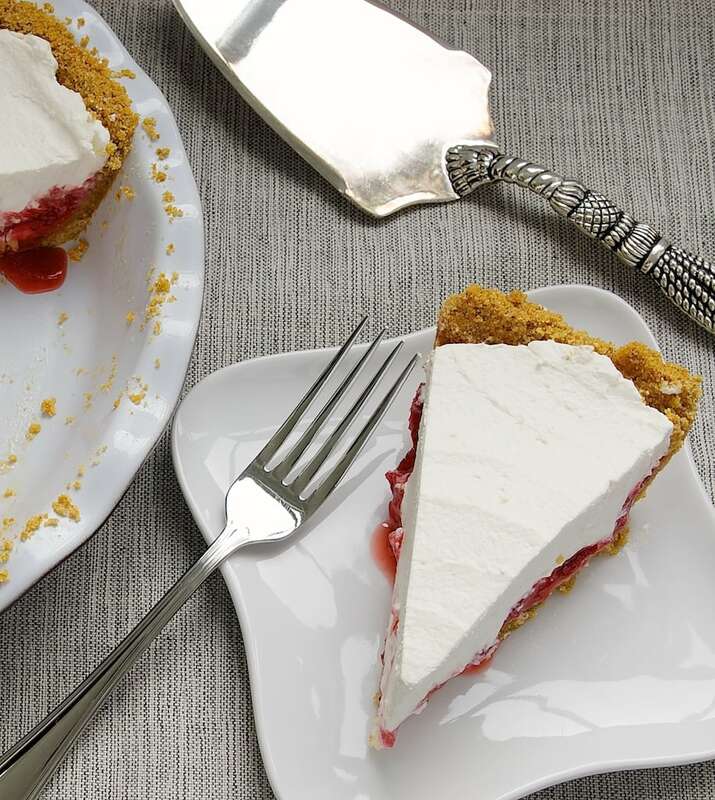 Spread the whipped cream over the strawberry layer in the pie pan. Serve immediately or chill overnight. I love the simplicity to this! Lovely recipe! I’ve actually never had an icebox cake to my knowledge! This is definitely perfect now that the weather is getting warmer. I love the simplicity of this recipe, and I know I would absolutely love it. Beautiful dessert. Oh yum, your pie looks so delicious! 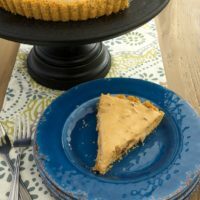 I have got to make this pie! Are you going to post all of your grandmothers strawberry pies?! I would love to see all three and make each one!. Thank you for your beautiful blog and all the work and time you put in it to make it so wonderful for your happy readers!! 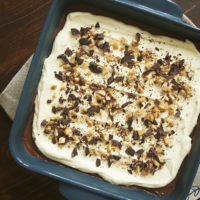 Icebox pie must mean that summer is around the corner! This is so pretty, thanks for sharing your grandmother’s recipe! What a lovely pie. So many sweet, spring flavors in one dish. Oooh, this looks amazing. 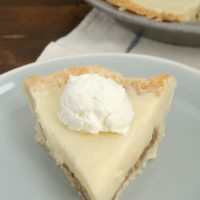 The perfect summer pie (which I could really use right now because it’s snowing where I live)! Hello! I can’t wait to try this pie! As a new baker I have to ask a dumb question, the 2 tbsp cream – is that the same as the heavy whipping cream? Thanks in advance! Hi, Rachel! Yes, you should use heavy whipping cream. I have updated that in the recipe. Thank you!!! You’re a peach! Incredible appearing and I’m sure just as delicious. This is the first recipe I’m trying with the seasons fresh strawberries! Thank you for the great post! this is a great way to use ripened berries!!! Looks beautiful and sure looks tasty! This is gorgeous! I love icebox pies. They’re so versatile and practically “no bake.” This one is lovely and I love all those fresh strawberries inside. This looks magnificent! I love a good icebox dessert! OMG! I havee got to make this, it looks absolutely divine and it’s easy to make. Double bonus! Thank you. As I’m baking lover I’m sure going to try this one as this looks so delightful desert. Since I first saw the picture of that recipe last week, I wanted to try it. And I tried it yesterday, this is delicious. Can’t wait to make an other in order to do better. Jennifer, think I could change out strawberries with raspberries? Would I adjust the sugar for raspberries vs. strawberries given the difference in sweetness? Thanks. Hi, Linda! Yes, raspberries would be lovely, I think. 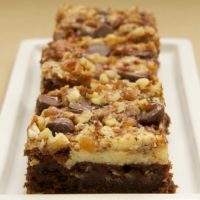 You should be able to adjust the sugar without much affect on the filling’s consistency. Looks delicious!! just by looking it is makes my mouth water. I will definitely try this recipe, thanks for sharing it. Do you have any lemon ice box pies? Hi, Valerie. 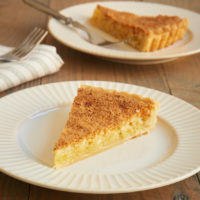 I have a recipe for Lemon Cream Tarts. Click here for the recipe.